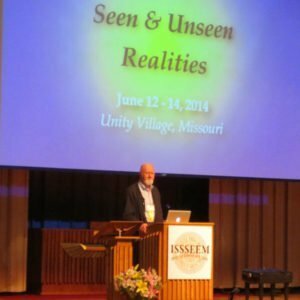 At the ISSSEEM (International Society for the Study of Subtle Energies and Energy Medicine) Conference in June, 2014, Greg Meyerhoff and I had a brief conversation with Dr. William (Bill) Tiller. You may recognize his name from the movie, What the Bleep? In talking with him, we discovered that we were both aware of rods of light entering this reality. I have been seeing them clairvoyantly since February and wanted to know what he knew about them. For those of you who do not already know our background, Greg and I have been meditators since 1973. I have been working in the field of intuition since 1987, when I began my hypnotherapy practice at Dr. Norm Shealy’s clinic in Kansas City. I then researched intuition with Stanley Krippner, PhD for my doctoral dissertation and wrote about those discoveries in my first book, Eureka! Understanding and Using the Power of Intuition. Greg and I then wrote a channeled book on intuition: The Path of Intuition, Your Guidebook for Life’s Journey, to which Norm wrote the foreword. I have been clairvoyant since birth. In March 2008, Greg and I attended the Prophets Conference on orbs in Palm Springs, California, where we heard Dr. William Tiller speak. Other speakers included Klaus Heinemann, PhD, Miceal Ledwith, PhD, Norm Shealy, MD, James Gilliland and Freddy Silva. 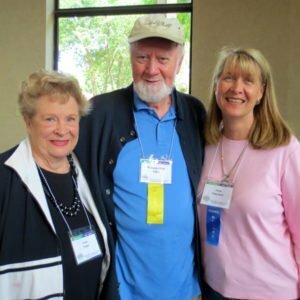 In March of 2012, we attended the Great Mystery’s calls on orbs were Bill Tiller spoke with Klaus and Gundi Heinemann, Miceal Ledwith and Norm Shealy. Since 2008, Greg and I have photographed and written about orbs and have had intimate experiences with them, along with other anomalies of light. Since the beginning of 2014, we have been witnessing rods of light and wanted to talk with someone about them. To give you a brief introduction, Dr. William Tiller is professor emeritus of Stanford University’s Department of Materials Science. Before that, he worked for nine years in physics for Westinghouse Research Laboratory. He has published more than 250 scientific papers, written three technical books and been issued five patents. Since 1971, Dr. Tiller has simultaneously pursued research outside of orthodox science, founding the Institute for Psychoenergetic Science. He is also the founding director of the Academy of Parapsychology and Medicine and The Institute of Noetic Sciences. His focus is now on subtle energies and human intentions. He has scientifically proven that human intention can be measured and is real. We are souls having human experiences. Every human intention is an act of creation. The reason we are here is to become coherent (a unified whole) and grow and develop as co-creators. Practice breathing and exercise routines. Be joyful, adventurous and purposeful in all acts of life. Listen now to the conversation with William A. Tiller, PhD, Anne Salisbury, PhD and Greg Meyerhoff about the rods of light entering our universe at this time. This is a 46 minute audio file.